Note: The author’s previous novel, Netherland, was WINNER of the 2009 PEN/Faulkner Award for Fiction. Both that novel and this novel were LONGLISTED for the Man Booker Prize. Irish author Joseph O’Neill, a citizen of the world, was born in Cork, Ireland, lived in Mozambique as a toddler, in Turkey (his mother’s place of birth) till he reached school age, and in Iran, the Netherlands, and England (where he attended college and then practiced law for ten years), before moving to New York City, where he has lived for the past fifteen years. 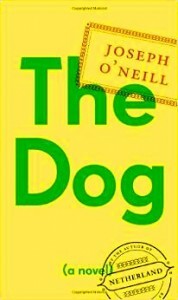 Perceptive and particularly attuned to cultural differences and their ironies as a result of his own upbringing, O’Neill writes a darkly comic novel set in Dubai, creating an unnamed narrator whose real first name, never mentioned because he hates it, begins with the letter X. In an unusual twist, this main character is a man so lacking in personality that he himself also resembles an X. A lawyer who for nine years lived with Jenn, a co-worker, X is now single, with almost no resources, emotional or financial. The breakup, coming as it did when he and Jenn were in their mid-thirties, was toxic, her revenge leaving him with few funds, no apartment, no friends among their mutual acquaintances and fellow employees, and virtually no prospects for a better life. His public scorn and denigration on the internet’s social media, perhaps engineered by Jenn, are so widespread that even Facebook provides no refuge for him. Through a fluke, X and Jenn had attended Donald Trump’s wedding in 2005, an event which eventually leads a wealthy Lebanese college acquaintance of X, Eddie Batros, to assume that X and Trump are friends. In 2007, Batros offers him a job working for the family, which now lives in Dubai, just before that country’s economic collapse in 2009. Treated like a dog and completely ignored for months after the Batros job offer, X also suffers the humiliation of being stood up when he flies to London for an interview. 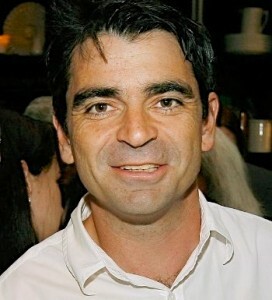 Eventually, however, he is hired as the Batros Family Officer, managing the family’s law firm, their legal affairs and assets, their investment and tax strategies, their international concierge services, the Batros Foundation operating primarily in Africa, and the family’s accounts on the Isle of Man, where they keep their reservoir of personal wealth. The people he supervises “are in a position to commit embezzlement or otherwise gravely fail the family,” and his job is to make sure that no one steals from the company. 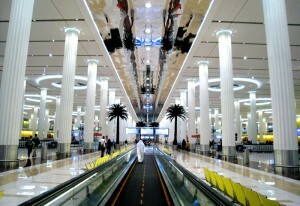 Dubai Airport: “A vast white palace filled with rows of the grandest white columns in the world…maybe ten feet in diameter.” People, like the man in the white robe here, travel on the people-movers in the center. Living on the eighteenth floor of a luxury apartment complex on Prosperity Bay in Dubai, X begins to hope that his life has changed in this new, almost surreal environment where no one knows him. He has plenty to time on his hands. His job, despite all the supposed duties, involves almost no actual work, and his contact with Eddie Batros and his brother Sandro is almost non-existent. In his free time he takes advantage of the highly paid prostitutes available to him at the most elegant hotels, and never questions what the family is doing. Still thinking about Jenn and the sad details of their relationship, his musings reveal much more about his “character” to the reader than they do to X himself. 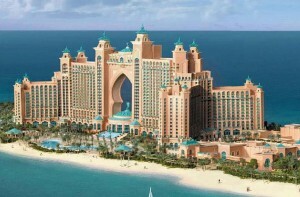 The Atlantis, a 1500-room resort with a marine theme, opened in 2008. The third plot thread concerns the disappearance of Ted Wilson, a deep sea diver, like X himself, who has suddenly gone missing. Referred to as “The Man from Atlantis” and nicknamed for the hero of a 1970s TV series, Ted Wilson has been living in X’s apartment building, and any real or imagined sighting of him immediately appears on the internet social media and in e-mails. Much speculation arises about Ted Wilson’s life, both in and out of the water, along with questions about what this American has been doing in Dubai: “A person usually needs a special incentive to be here – or perhaps more accurately, to not be elsewhere – and surely this is all the more true for the American who, rather than trying his luck in California or Texas or New York, chooses to come to this strange desert metropolis,” a description which ironically does not even give X a moment of pause. The entrance of Mrs. Ted Wilson into X’s life adds to the complications. X has the opportunity to meet with a woman in an underwater bedroom of the Atlantis. 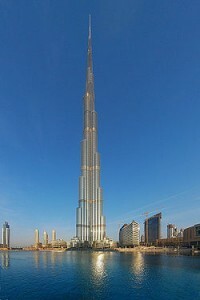 The author’s depiction of X and his life in Dubai provides many scenes of fun, humor, and irreverence, but because X is sometimes hopelessly dense – and gullible – about social relationships, most readers will find it impossible to empathize with him on more than a superficial level when the expected complications “unexpectedly” intrude. Though he is, at heart, a good man, he is malleable and amenable to being grossly humiliated, as if he does not believe that he deserves better. Intelligent, he still trusts virtually everyone, hoping, perhaps for their friendship, despite his terrible breakup with Jenn. He even accepts as one of his major duties, that of “babysitting” for Sandro Batros’s obese fifteen-year-old son, trying to keep him busy as an intern and even weighing him each week. Ordered by Sandro Batros to give the son a sense of values, X does not think twice about the ironies involved in this task and what they may mean. Filled with vibrant and revelatory scenes, this very funny novel unfortunately lacks a clear focus. Since this is also characteristic of X himself, the reader must rely on witty and insightful details for the novel’s compelling interest. At one point, for example, X is told by the fifteen-year-old Alain to [expletive]-off, when he is asked to help carry out the trash. To this, X replies (with what he describes as his “best move”), “Listen, you’re hurting my feelings when you say something like that.” When Alain then sniggers, X’s reaction is: “Vulgar abuse and childish f-bombs are water off a duck’s back. But this snigger is directed at the very notion of fellow feeling.” He takes out the trash himself. While O’Neill excels at providing this kind of information within other small scenes, it may not be enough to maintain the interest of all readers. The wild and very clever conclusion does tie up the loose ends of this loose plot, satisfying those who have been absorbed in the wittiness of the writing and the insights provided into the unusual culture and lifestyles of Dubai, and for many of us that be will be enough. The novel provides unique, private glimpses of life in an emirate which rarely shows its private side. 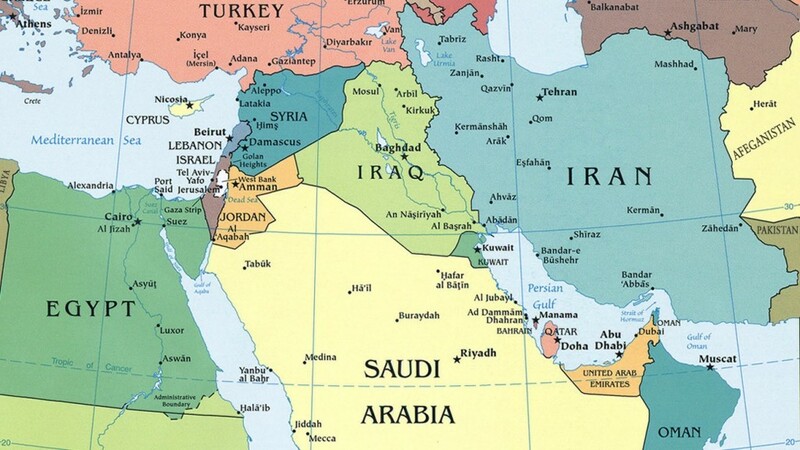 A map of the Emirates in relation to the rest of the Persian Gulf is shown here. Dubai is near the tip of the peninsula of the United Arab Emirates in the bottom right of the map. Just double-click. Double-click to enlarge.